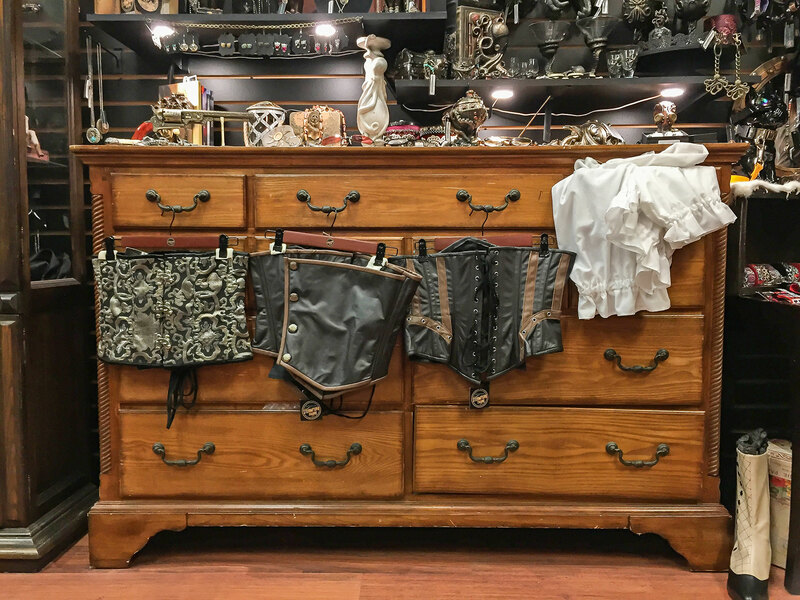 Aunt Matilda's Steampunk Trunk is a local purveyor of goods for steampunk and Victorian-era costuming enthusiasts, as well as fans of cosplay. 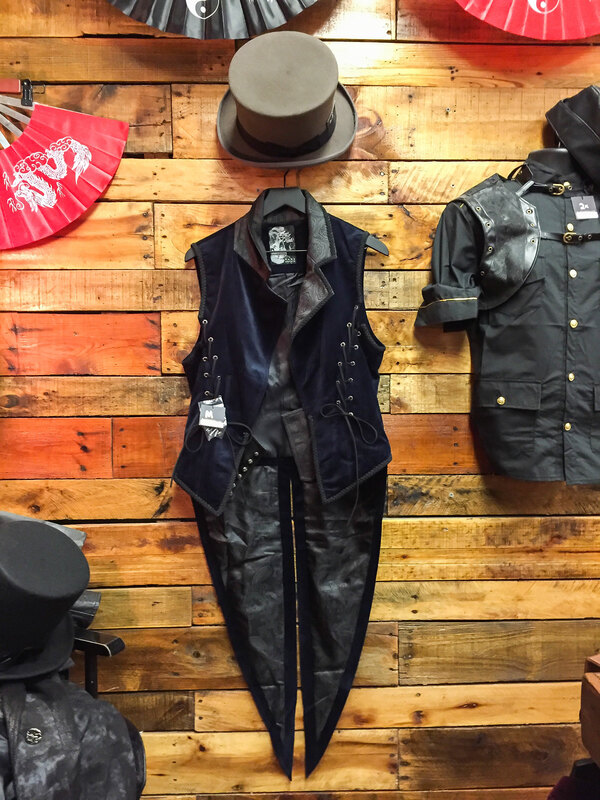 Their inventory includes gear-decked jewelry, custom clothing from artisans, accessories for fans of fantasy genres, and other treasures. The shop is set up to look like an adventure of wandering through an old relative's attic filled with strange items and wondrous eye-catching gizmos on display. 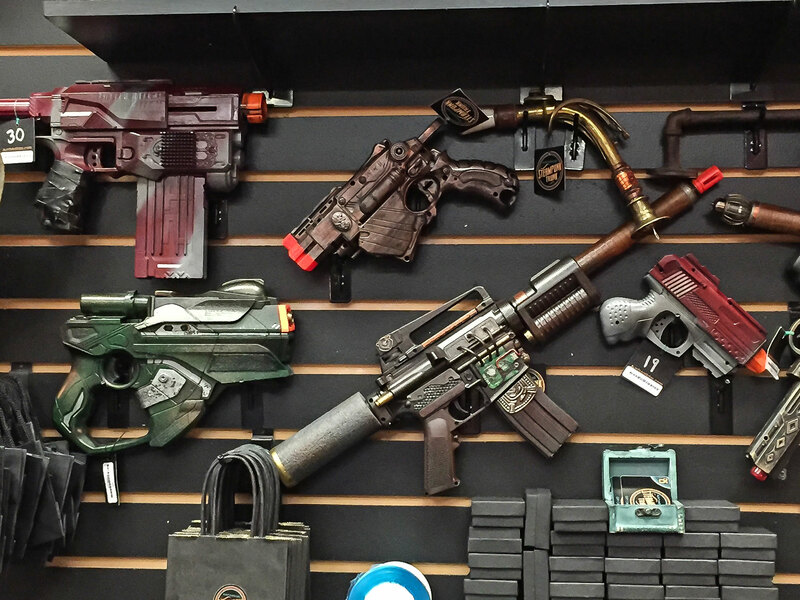 For many throughout Florida, it's one of the few shops of its kind, and holds events regularly to bring together fans of the various genres. Some of the more well-known items Aunt Matilda is known for are their custom steampunk weapons made by artists who specialize in the genre. 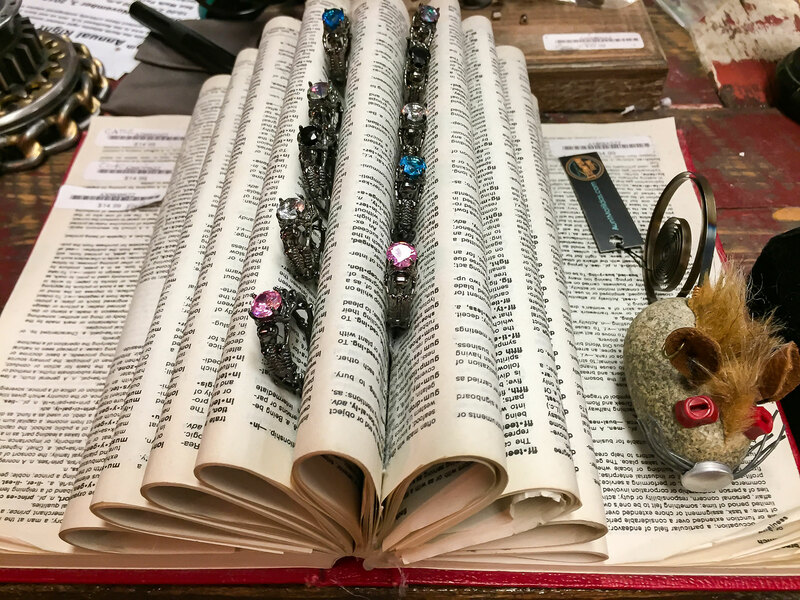 They also have jewelry with noticeable symbols and quotes for anyone who's familiar with popular works of culture like Harry Potter and Doctor Who ("Bad Wolf." Need I say more?). For those who are simply thrilled to be in such an interesting place, there are also souvenirs of the shop itself. A shirt will proudly show people back home that you went to Aunt Matilda's Steampunk Trunk, or a decal for your laptop can serve as a nice conversation starter. The shop is located in the Heritage Walk mall at 105 St. George Street in St. Augustine, FL 32084. Operating hours are 11:00 a.m. to 6:00 p.m. Sunday through Thursday, 11:00 a.m. to 7:00 p.m. on Friday, and from 11:00 a.m. to 8:00 p.m. on Saturday. Be the first to Review Aunt Matilda's Steampunk Trunk!